» Headlines » 800 Horsepower & No Surge Tank In Sight! 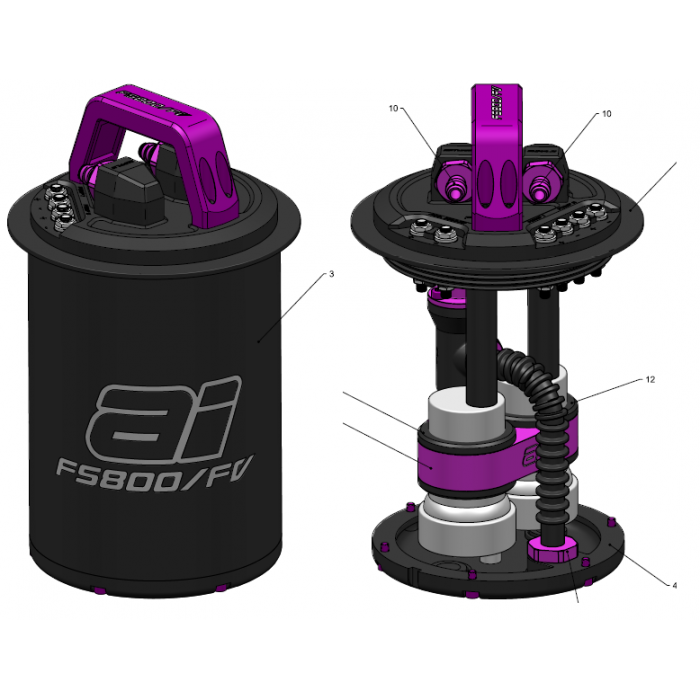 After hundreds of hours of design, engineering & real-world testing, we are proud to announce that we've made material improvements to our best-selling FS800-F drop-in fuel system upgrade for the Ford XR6 Turbo (FG) which now offers surge protection right down to 5% fuel tank capacity and eliminates the requirement or need for an external surge tank for street & track driven applications upto 600kw/800hp at @ 85psi (e85) and 1000hp (unleaded) @ 85psi. We've determined that the FS800-FV offers estimated savings of between $2,500-$3,500; the costs associated with installation of a surge tank (fuel lines, fuel fittings and labour). 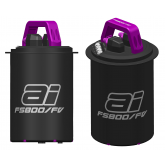 Larger Floater Valves: The FS800-FV now features 100% larger fuel floater valves over the FS800-F & OEM valve (FS800-FV has 3 valves versus the 1 valve included in the OEM design) which significantly reduces to time required to re-fill the bucket by 300%. Venturi Pump: The FS800-FV also includes a Venturi Pump. The Venturi Pump was developed using leading CFD modelling software and techniques (200 data points and 90 hours of continuous simulations) and the result is a Venturi Pump which is able to generate enough vacuum to pull through more than 200lhr of fuel into the bucket which will ensure that the fuel pumps are submerged at all times so there is no possibility of fuel starvation or fuel surge (the OEM fuel pump module does not feature a Venturi Pump). 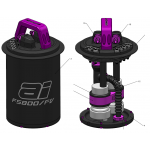 Fuel Module Handle (FMH): One of the more striking features is the all new FMH (Design Protected), the first of its kind, which now makes it easy to install or remove the FS800-FV for maintenance purposes. 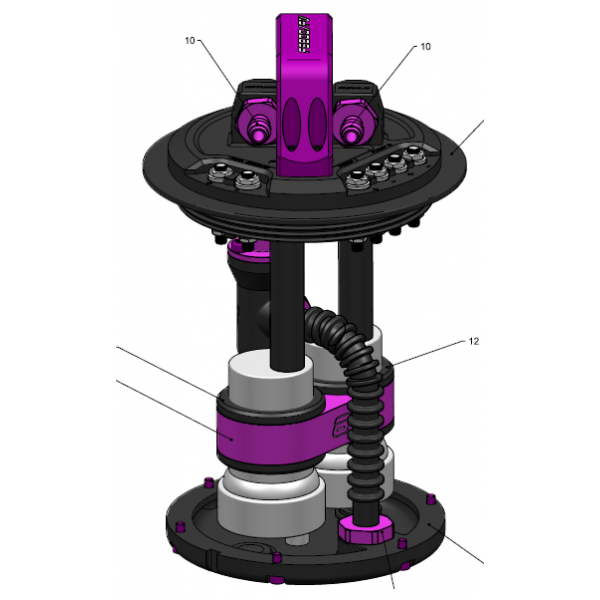 While the drop-in module isn't "Plug & Play" per se, the installation can be completed in a mater of hours as ALL of the components and supporting hardware (wiring harness, fuel pressure regulator, fuel pressure regulator adaptor) are provided with the kit. Do I Need to Upgrade The Fuel Lines, Fuel Pressure Regulator or Fuel Rail ? a) Fuel Lines & Fuel Rail: No - Testing has revealed that the factory fuel lines and fuel rail is more than sufficient to support the fuel volume without excessive pressurisation. b) Fuel Pressure Regulator: Yes -The OEM fuel regulator is far too small must be upgraded and the good news is that we've developed a simple adaptor which installs to the factory location and delivers fuel to a Turbosmart FPR2000 regulator using a specially developed swivel union fitting; the Turbosmart FPR2000 outlet then connects to the factory fuel line via another adaptor. Perfect fuel pressure control (staged fuel pump operation) & fuel pressure stability due to our design protected 2-to-1 internal fuel pump manifold. Precision machined from aerospace grade 6061-T6 billet aluminium & a OEM-spec Polyoxymethylene (POM) lightweight fuel bucket is designed using best practice engineering principles and stress tested to ensure safety for all motorsport applications.